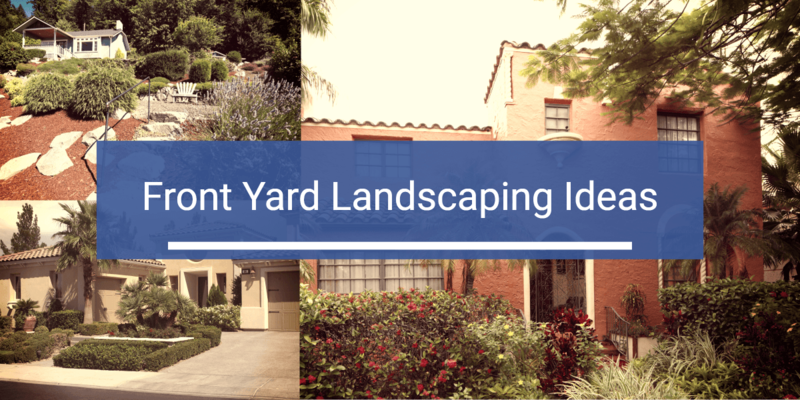 Everyone wants to feel proud of the way their yard looks, but not everyone has the same taste, nor the interest in maintaining their landscaping. Below are a few different ideas for landscaping your Florida yard that will appeal to a variety of preferences and maintenance levels, and will improve curb appeal. Landscaping ideas for Florida front yards. Not all plants thrive in all parts of Florida so, to create an appealing landscape, you must know which plants naturally thrive in your area. Working with a landscape designer or landscape contractor can also help transform your vision into the yard of your dreams. Before you go that route, here are some design ideas to consider. This is a great landscape design for people who don’t have a lot of interest in maintaining a green landscape, or are too busy be able to look after their plants. The design involves using stones or other ‘hardscape’ elements in place of flowers and plants. You can create different pathways on the garden and cement the areas that you want people to walk on, then add stones, gravel mists, and river rocks on the remaining edges. This design works perfectly with a lawn planted in different partitioned sections. You’ll want to add plants that are drought and heat tolerant, and ones that don’t grow out of control. 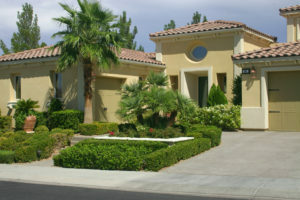 Then, your yard will maintain its look without increased demands on your time. 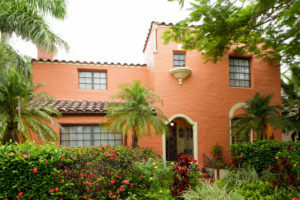 ‘Tropical’ is the standard for Florida front yards, especially larger yards. One of the best ideas that work for a large front yard is to have a focal point – a tropical tree such as the palm tree – and plan out your landscape around this focal point. If you have the space, you can create a place in the middle of your yard for your family to sit and relax during the mild seasons. Add some seats and shade for ample protection. Even better, add outdoor lighting for moonlit chats and visual appeal. Grass can surround the area and you can plant flowers on the edges of the garden and around the house.Touches like these will make your yard enjoyable to look at, and use. Looking for a balance between beauty and low maintenance? While still requiring some planning, using local natural foliage for your yard will help you strike that balance. Local plants have the benefit of being acclimated to the area – they already grow here naturally. They can withstand high climates and can grow in any soils. Just make sure you consider the height of your house since some plants tend to grow pretty high. You’ll definitely want to consult a landscaper regarding the best wild flowering plants that will work in your yard. 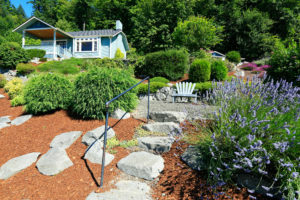 If you are planning a major or minor landscaping project for the front yard for your home, use the above designs as a general guideline to get started, Consider your interests, needs, and preference and build the yard of your dreams.